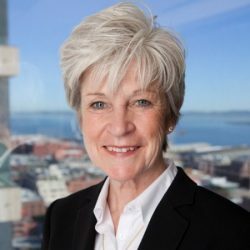 In this edition of Industry Perspectives, Karen Morgan, president and CEO of Dynamic Energy Networks, explores how energy-as-a-service reduces the risk involved in energy updates and transformation on our college campuses. Energy-as-a-service on campuses can greatly lower the cost involved in microgrid build and deployment. From an energy perspective, a college campus is a series of systems and assets that must be managed, protected and enhanced to meet that mission. It faces obstacles familiar across the energy industry: aging infrastructure, revenue challenges, increased threats to physical and cyber security and a growing demand for integration of clean energy. Balancing the need for affordable, clean energy in a safe environment and each school’s mission to teach and lead is an essential yet increasingly complex responsibility. Across North America, schools are setting goals to both teach and deploy sustainable energy. Forty U.S. campuses have earned the U.S. Department of Education’s prestigious Green Ribbon since the program expanded to include secondary education in 2015. The program focuses on (1) reducing environmental impact, (2) improving healthy physical environments, and (3) offering environmental and sustainable educational programs. More than 600 colleges and universities in every state have committed to joined the Climate Leadership Network’s pledge to act on climate and prepare students through research and education to solve the challenges of the 21st century. Microgrids, incorporating energy storage, solar panels, electric fleets and smart security systems, hold promise yet present additional challenges to integrating these approaches, paying for them, and onboarding specialized knowledge to operate and maintain them. Trying to embrace sustainability under the old capital expense model presents significant obstacles due to the high costs of new assets or smart system updates. One new approach to Energy-as-a-Service (EaaS) brings together expertise and innovation in technology and funding to deliver campuses customized energy resilience and security they need. It holds promise for schools that want these benefits but are hesitant to invest a large amount of equity in new technology to create a comprehensive energy network. Energy-as-a-Service on campuses allows universities to reach their biggest energy goals without investing their capital in projects that are complicated and foreign to their business model. As the energy industry undergoes a historic transformation, many schools are developing curricula that advance sustainability as a practice and body of knowledge. Through EaaS, educational institutions are poised to create programs of study that integrate students and faculty into the campus microgrid. Students can apply what they learn in the classroom to a variety of roles supporting their school’s microgrid network operational control (NOC). Information Systems students may address software integration challenges. Engineering students solve microgrid functionality problems. Business students design and learn from new economic and business models. By integrating various majors in engineering, sustainability, and business universities can utilize their microgrid to create a living lab for students to gain real world experience. Widely differing governance models may guide individual schools, yet all are accountable to navigating a path to a more sustainable approach that aligns with their unique academic goals and resources. The EaaS process provides a structure that begins with an analysis of the campus’ energy demands and challenges, both short- and long-term. Innovators like Dynamic Energy Networks (DEN) begin there and tailor a solution to the organization’s objectives and with strategic partners funding each aspect of the project. Strategic capital resources ensures stability, while companies such as DEN provides comprehensive flexible owner/investor models structured to the universities’ needs. The school then gains and adheres to a flexible, capital-structuring system. Instead of owning aging energy assets and the risk associated with them, the school transfers this risk to the 3rd party investor. These models allow universities to invest in projects that are closer to their core competencies, such as new dormitories, classrooms, laboratories, and athletic facilities, instead of owning and operating complex energy generation systems. With many universities looking to achieve lofty sustainability goals it is imperative to move ahead prudently, avoiding exposure to risk with investments in new technology. The EaaS approach reduces risk with a solution that brings private capital and expertise to develop a long-term solution that can be built out and improved as newer, cleaner, and more efficient technologies enter the market. Practical challenges remain in moving a campus away from fossil fuels, shifting to a microgrid architecture and even finding ways to successfully sell power back to their energy markets. Smart energy networks can enhance energy resilience in vital ways. In 2012, NYU and Princeton microgrids kept the lights on in the face of massive outages during Hurricane Sandy outages. Microgrids can enable universities to harden their infrastructure when storms threaten, providing them detailed weather forecasts to anticipate incoming weather and shift to a storm-ready mode. Acting to pre-charge batteries, pre-lubricate generation sources, change HVAC set-points and even pre-island the campus, can help campuses stay online even if utility power goes down. Intelligent systems also help address threats to physical security in a holistic way by establishing security settings to control entry and access, allowing pinpoint responses often in real time. From a central location, for example, security may be able to see who wants to enter a building and remotely grant or deny entry. And it can powerfully aid in a campus-wide response if needed. Taking an EaaS approach also delivers expert cybersecurity resources to protect the school energy infrastructure. Institutions gain the continual implementation of cybersecurity and data privacy layers holistically across the enterprise (including endpoints protection, identity and access management and security operations center) and for all energy assets and systems that are remotely managed. Practical challenges remain in moving a campus away from fossil fuels, shifting to a microgrid architecture and even finding ways to successfully sell power back to their energy markets. Bringing smart energy – that is secure and resilient, predictable and efficient, and sustainable – can be possible through EaaS. The approach not only shifts risk by replacing capital expenses with operational ones, it provides a route to bring campus attractive programs that make business sense and further the essential educational mission. A brief overview of the management of thermal energy. Indeed the current Thermodynamic system, goes from a simple idea, move gas or steam by chemical reaction, burning wood, coal, fuel, and nuclear fission or other, these gases or vapor will directly move metal objects (pistons or turbines), as practiced in the whole world for more than one century; generated a huge waste with colossal induced pollution. With today’s techniques, technologies and know-how, there are higher solutions among others; the Hydro-Thermal Engine, at first glance, seems more complicated, but in reality instead of steam/gas to act directly to move metal (Turbine / piston; it pressures a liquid to do so. It shall change everything in the energy’s world to forget how it was? I recognize that it is a crazy idea, the association of hydroelectric and thermoelectric technologies. 1. Multiply the fuel potential by at least three, (basic version) improved type, only one single heat is needed to realize a mechanical motion. 2. Broken the sacred link between hot and cold temperatures, which usually determines the yield of a thermal engine.